The primary appeal of a reef tank is visual. We want to see a piece of the living ocean from the comfort of our favorite spot on the couch. For that reason it is beneficial to consider color in our aquaria. 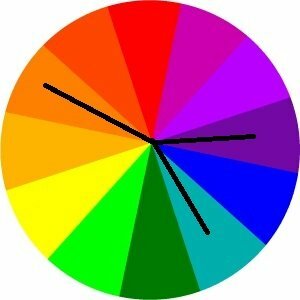 To start we can look at a simple RYB colorwheel. 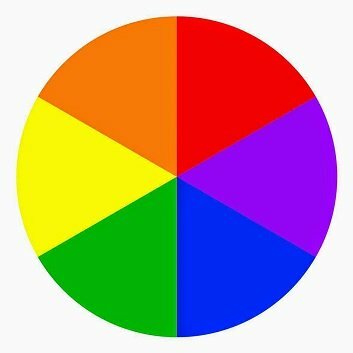 Reviewing the obvious, we have the primary colors, blue, yellow and red, with our secondary colors that are made by mixing the primaries, green, orange and purple. There are other color models out there such as RGB (used in television and video) and CMYK (used in color printers). The RYB (Red-Yellow-Blue) color model is used for things like paint which absorb light. To keep this simple I will focus on RYB as this is what most people are familiar with. 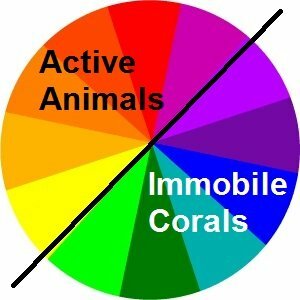 As we ponder the multitude of colors available in a reef tank, we can expand our color wheel to include more variations on color. In this thread, though, points can be made with something in between. 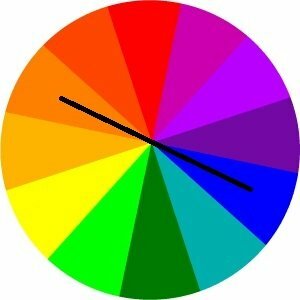 This wheel shows the primary, secondary and tertiary colors. 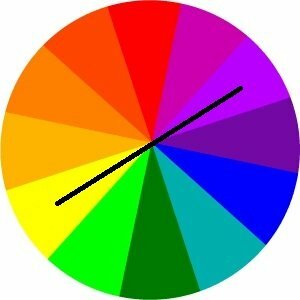 To find a color’s complement, one simply has to look at the color across from it on the color wheel. For example, yellow and purple are complimentary colors. Yellow is a primary color. Purple contains no yellow at all and is a mix of red and blue, the other two primary colors. 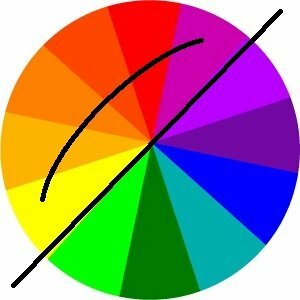 Complementary colors are literally opposite colors. When you combine two complementary RYB colors, the result is gray or black. I note for comparison that video uses RGB (Red-Green-Blue) light combinations to create colors. In the RGB model, combining complimentary colors will result in white light. When a color is placed next to its complimentary color, both colors stand out. Our eyes are drawn to the contrast. In our reefs, a clownfish is typically orange. To find a good color to complement for a clown fish we can look across the wheel and find its complement is blue. This explains why the Finding Nemo artists chose to use a blue tang with the clownfish. It was not to infuriate the tang police, but because they are complementary colors. 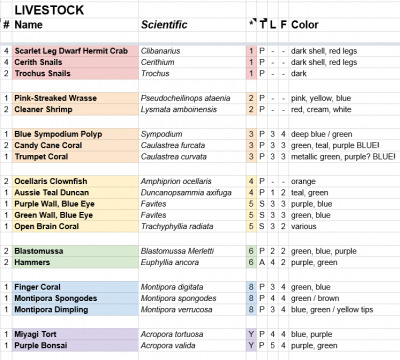 When many colors are in play, such as in a reef, it may be useful to go beyond simple complementary colors to help make your livestock pop. Split complementary considers the two colors adjacent to the complimentary color. In this case, staying with orange, the split complementary colors would be teal and violet, the colors neighboring blue. 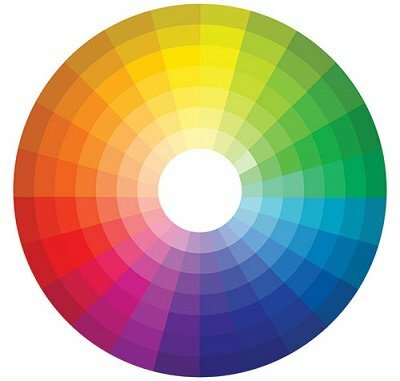 Colors that are next to each other in the color wheel are considered analogous colors. Lime, green and teal are analogous as they are next to each other on the color wheel. If, for example, you want to add a large amount of green to your reef, you could accomplish this not just using green, but its analogous colors as well. 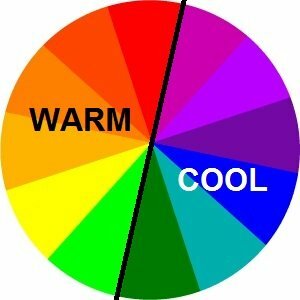 By bisecting the color wheel we can separate the colors into two groups, warm and cool. There are many ways you can use warm and cool colors to create contrast in your aquarium. If, for example, you have several cool colored acropora together, a warm colored coral among them may create a nice focal point. It will also make those cool acropora stand out more. These are just some simple ways that color can be used in a reef aquarium and in general. These are not rules, but guides to help one understand how our brains work to see. If you can use colors in a clever way, someone viewing your reef will be subconsciously drawn to the areas of focus you create. As a case study, I will discuss how I am planning my new 30 gallon build. The tank is not even wet yet, but I have planned out my fish and corals along with a timetable for their introduction to the system. For me, in the limitations of a 30 gallon aquarium, the life I want to stock is a big concern for lighting, filtration, substrate and aquascape. The primary mobile animals in my system will be two Ocellaris Clownfish (Amphiprion ocellaris) and two Cleaner Shrimp (Lysmata amboinensis). These animals, in my experience, have excellent personalities and provide a decent amount of activity. I also plan to have a Pink-Streaked Wrasse (Pseudocheilinops ataenia). It is a small, peaceful, even shy wrasse that is beautiful and should help to control some pests. When you look at these animals, you will notice they are warm colored. Primarily orange, yellow, red and pink. The time period (* column) is more of an order than an exact time. With each individual addition, parameters will be monitored until the system stabilizes. As you can see, the corals are mostly colored in greens, blues and purples. I will also look for some turquoise acropora like a Cookie Monster, 2 Legit Tenius or maybe a Jedi Mind Trick Montipora. Coral placement will be done in a manner that varies the cool colors. Additionally, coralline encrustation should add a blanket of purple. These colors should make for excellent contrast between the corals I keep and the active movement of the warm colored fish and shrimp. My plan is an example of using colors to create a more artistic feel to the reef I envision. It is certainly not for everyone, but hopefully it gives folks something to think about as they consider stocking their system and filling gaps along the way. Thanks for reading. Maintaining a JBJ 45 Flat Panel mixed reef.